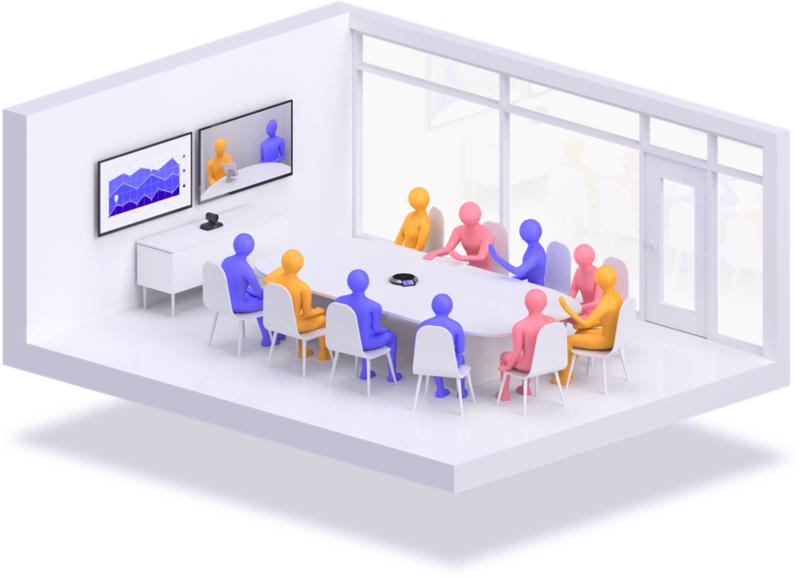 A video conferencing solution for every meeting space. Mini spaces and huddle rooms are among the fastest-growing meeting room types today as businesses look to modern collaboration technologies to make better use of their office real estate. The small design — seating up to four people — is ideal when you need a quiet place to join a video meeting or collaborate on a project. Smaller spaces have smaller budgets and require less complexity, so the technology in the room must be cost-effective and easy to use. Lifesize Dash™ kits are designed for device flexibility, while Lifesize® Icon 300™ gives you a proven all-in-one solution with 4K full-motion content sharing for a premiere huddle room experience. Small meeting rooms encourage spontaneous collaboration, and the technology in them should enable it. Easy installation and simple, plug-and-play functionality are critical. Also important: capturing everyone in the online meeting on screen while taking up minimal space in the room. The Lifesize® Icon 450™ and Phone™ HD are designed to deliver effortless video conferencing for an unparalleled small meeting room experience. Conference rooms come in many different sizes and shapes, but their purpose is always to enable relationship building through consistent, face-to-face conversations. A dedicated presentation screen, high-quality 20x zoom and audio engineered for greater voice pickup are essential for large meeting spaces. The Lifesize® Icon 700™ and Phone HD give you an unmatched 4K video conferencing experience, erasing distance, putting everyone into the same space and delivering a one of a kind user experience. Large meeting spaces like auditoriums, classrooms and multipurpose big rooms have so much collaborative potential. They yearn for a video conferencing solution but in a big, flexible way. Multiple AV inputs and outputs are necessary to connect multiple devices (cameras, laptops, DVRs, microphones, etc.). Integration with panel manufacturers and third-party integrated audio solutions — and a secure, rack-mountable design — are essential. The Lifesize® Icon 800™, Camera 10x and Phone HD offer all these capabilities to deliver high-quality video and unforgettable keynote experiences to big audiences. 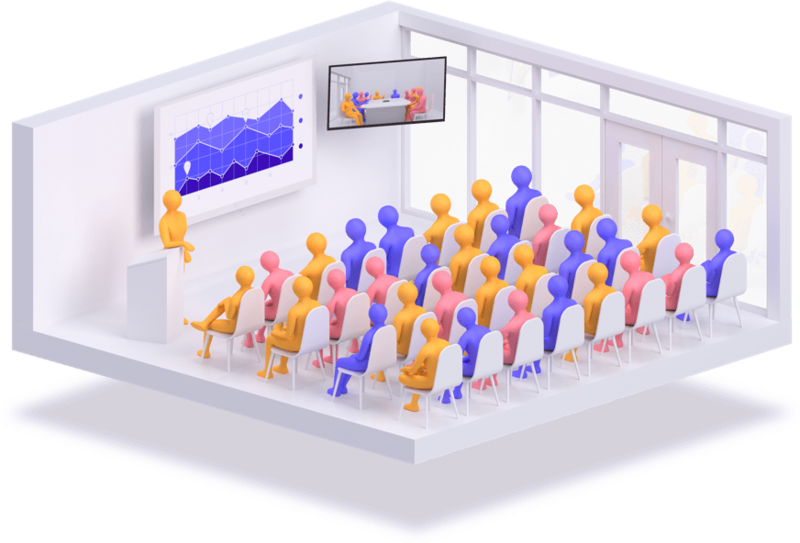 By integrating our meeting room systems and cloud service, we enable every person and every conference room with amazing video conferencing. With data centers in every major geography, our industry-leading global presence helps you connect your global teams through web conferencing. Lifesize fits in the workflow of your existing tools to give you the best video experience in the apps and meeting rooms you use every day.